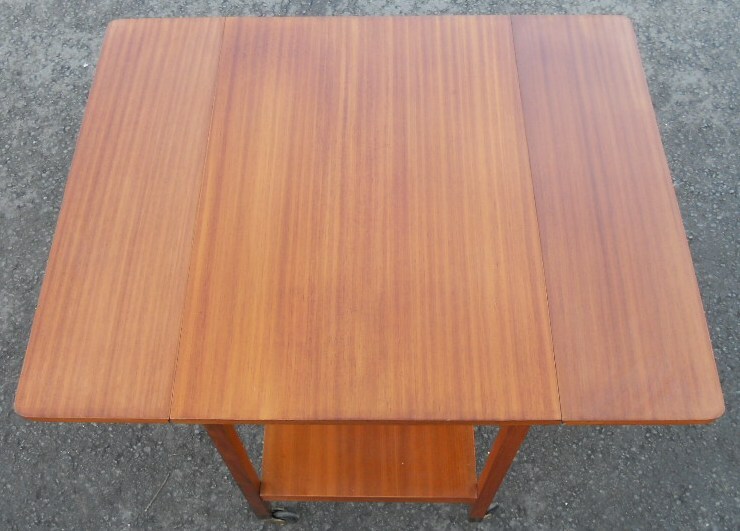 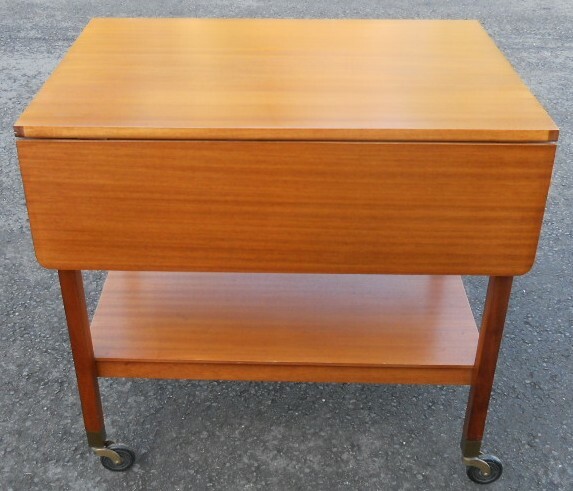 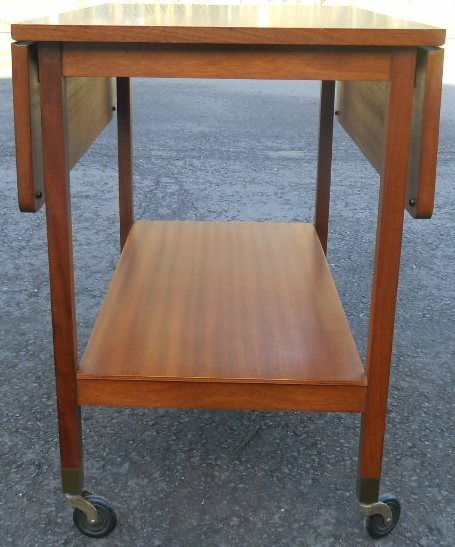 1960's teak wood dropleaf tea trolley raised on castor feet. 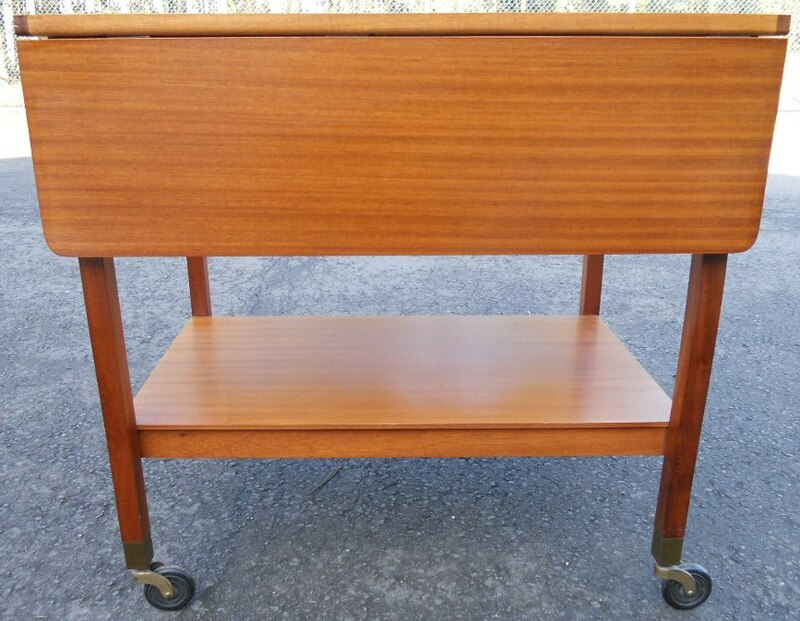 This retro two tier tea trolley with orginal polish finish is in nice condition. 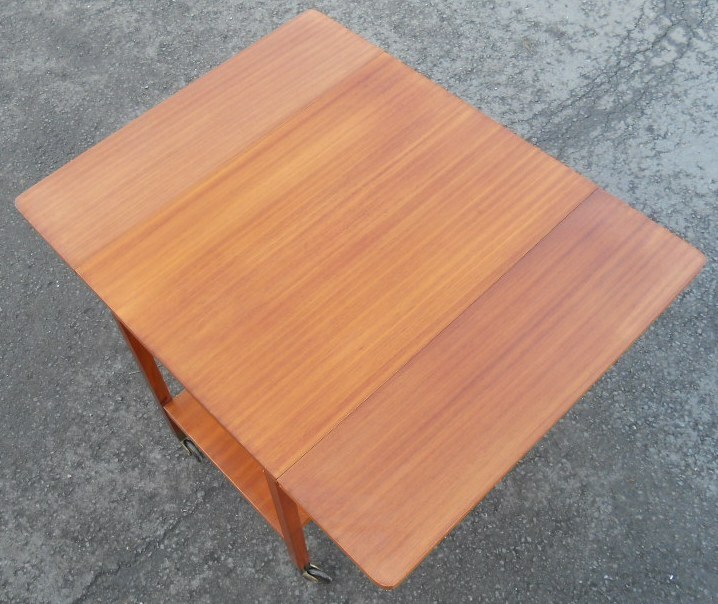 Side flaps are easily raised to form a larger table surface when required.